AWS Life Sciences Competency Partners have demonstrated technical and customer success in building Life Science solutions on AWS. AWS Life Science Competency Partners help you conduct drug discovery, manage clinical trials, engage in manufacturing and distribution activities, conduct research and development of novel genetic-based treatments and companion diagnostics. Listed below are the partners, products, and solutions that have been vetted, validated, and verified by the AWS Partner Competency Program to support you in these areas. Learn more about APN Technology Partners with the Life Sciences Competency, including products on AWS and customer success stories by use case (Genomics, Clinical Trial Management, HPC, LIMS, Precision Medicine Platform) below. Appian delivers an enterprise platform for digital transformation that speeds time to market and value to the patient. The most innovative life sciences organizations use Appian to revolutionize their customer experiences, transform their operations, and master regulatory compliance. Core Informatics provides state of the art laboratory data management solutions to leading biopharma, genomics, and other scientific organizations. Solutions are highly configurable and allow customers to manage data end-to-end across workflows in the 100% web- and cloud-based Platform for Science. The ConvergeHEALTH Evidence Lifecycle Management Platform on AWS provides powerful tools for end-to-end evidence life cycle management letting researchers efficiently search, characterize, and analyze data from multiple sources. It enables collaboration and knowledge management across continents, helping organizations pursue new partnership models and innovative study designs. Analytics provides new insights that shorten development cycle times, facilitate discovery of new treatments, prove the value of existing therapies, and facilitate improved patient outcomes. The cloud-based platform can capture and centrally store new data, and enable flexible and secure access of data from anywhere in the world, while scaling compute capacity as needed. DNAnexus offers data management, next-generation sequencing data analysis, and secure collaboration for DNA sequencing centers and researchers. DNAnexus’ services are provided through a single, unified system that scales to meet its clients’ unique academic or commercial needs. This unified system includes on-demand infrastructure for computation and storage, bioinformatics and cloud computing support, and secure, compliant collaboration, among many other features. Medidata’s solution enables physicians to look up patient records quickly—even when patients are in blind clinical trials—and avoid prescribing treatments that might counteract the patient’s clinical trial regimen. AWS delivers the high availability that is critical to physicians and patients, the scalability to handle sudden surges, and the storage space to enable data mining for research purposes. Data-driven Applications for frontline commercial & R&D teams everyday. Life sciences companies rely on Reltio data-driven applications and modern data management to provide their commercial, brand, and compliance teams with a complete view across all information sources to help understand markets, drive revenue opportunities, and reduce risk exposure. Seven Bridges Genomics, a Cambridge, Massachusetts-based bioinformatics firm, offers researchers and labs a cloud platform for analyzing genetic data generated through next-generation sequencing (NGS) technologies. Through its IGOR platform, Seven Bridges provides a one-stop solution for managing NGS projects and enables customers to create and run complex data analysis pipelines easily using a drag-and-drop interface. Turbot automates enterprise guardrails for Amazon Web Services. Turbot delivers Software Defined Operations for the enterprise cloud with automated guardrails that ensure your cloud infrastructure is secure, compliant, scalable and cost optimized, and maps to common control frameworks such as NIST, HIPAA, and GxP. Learn more about APN Consulting Partners with the Life Sciences Competency, including their Life Sciences AWS practice and customer success stories below. Led by AWS-Certified professionals, we migrate enterprise workloads to AWS with little to no refactoring of the application. 2nd Watch’s Cloud Factory automates the end-to-end migration workflow for moving bulks of enterprise workloads from the data center to AWS - including extraction, batching, conversion, importing, configuring, launching and testing - within a reliable schedule and budget. Born in cloud, 8KMiles is a third party audited AWS Managed Services provider, preferred Health & Life Sciences Competency Partner delivering services to premium pharma customers around the world. Having assisted some leading Pharma giants, we understand the challenges of a Pharma company in moving to a secure cloud environment with GxP compliance. We have purpose built CloudEzRx solution for Pharmaceutical and Lifesciences customers to securely embrace public cloud. Accenture helps clients make a meaningful impact on patients’ lives by combining new science with leading-edge technology to revolutionize how medical treatments are discovered, developed and delivered to people around the world. 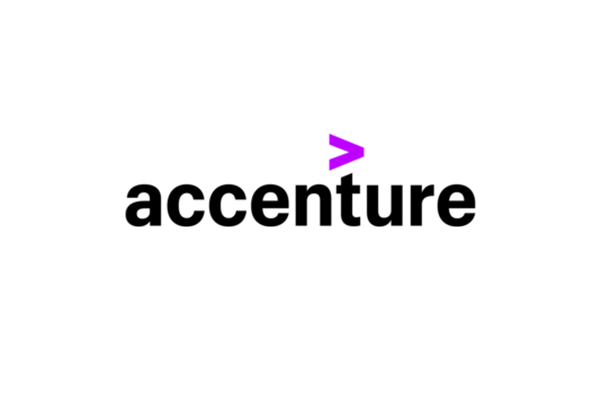 At Accenture, we aim to deliver better, measurable outcomes for our clients, their patients, their shareholders and the broader healthcare ecosystem. BioTeam Inc. is an independent consulting company owned and operated by scientists focused on “bridging the gap” between science & high performance IT. Experts in moving science & engineering workloads or entire companies into AWS or hybrid clouds. Widely known for our work with ScienceDMZs, high-scale data movement, HPC, Hadoop, cfnCluster & more. Cognizant offers a broad array of consulting and solutions for Life Sciences, Global Pharmaceutical and Biotech companies. Whether it's driving process improvements to clinical operations, increasing sales effectiveness or enhancing drug safety, Cognizant is redefining the way companies benefit from global services. That's why 9 of the top 10 life sciences companies work with us. Flux7 life sciences and healthcare infrastructure solutions provide compliant, scalable and self-healing cloud infrastructure. Using AWS automation and security best practices, we build solutions that help you meet market opportunities by keeping focused on your business, not worrying about your infrastructure. HCL Life Sciences and Healthcare provides extensive capability and tools for organizations to transform the value chain. From drug discovery to sales and marketing, HCL solutions create tangible value, improved outcomes and increased quality of care. HCL's customers also benefit from our regulatory center of excellence, a healthcare competency center (headed by industry experts, including PAHM, HIPAA, PMP, and RAC certified professionals), and delivery teams supported by doctors, PhDs, and scientific researchers. Knowledgent has deep experience using Data Management and AI / ML to innovate within Life Sciences. Knowledgent is a data intelligence consultancy that provides expertise and services for clients seeking to use AWS technologies for data management, analytics and AI / ML. Life sciences companies face unique regulatory challenges when they migrate to the cloud. Mission can architect a plan focused on managing clinical trials and scaling critical operations while meeting core security and compliance requirements. Mission's infrastructure management, advanced security protection, application performance management, and managed DevOps services enable you to focus on your core research and development. Privo's team works hand-in-hand with your IT team, or directly with your scientists if you have no IT staff, to design and deploy flexible infrastructure solutions on AWS such as HPC clusters, batch pipelines, spot instance fleets, and more. We help you meet your security compliance requirements (HIPAA, GxP, etc. ), reduce infrastructure costs, improve operational efficiencies, and ultimately innovate faster. 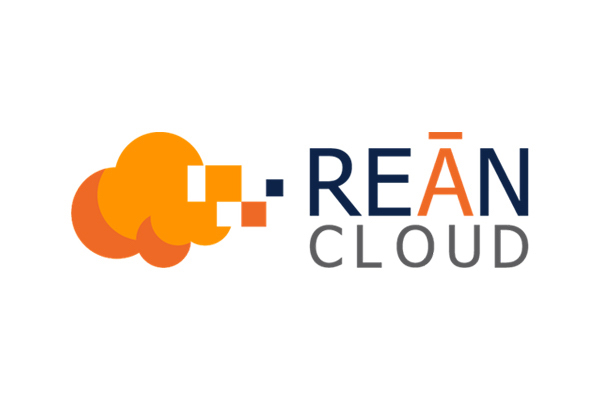 REAN Cloud, pronounced “rain”, is your full-service AWS Premier Consulting Partner and Managed Service Partner. Put our cloud-native and DevOps expertise to work for you; delivering end-to-end enterprise IT solutions. REAN Cloud implements secure, compliant architectures for the most highly regulated industries, such as Financial Services, Healthcare/Life Sciences, Education, and Public Sector. PwC's Pharmaceuticals and Life Sciences AWS capabilities brings strategic abilities across pharmaceutical, biotech and medtech to help leading organizations accelerate their AWS cloud transformation. Our deep industry experience across legislative, regulatory and patient engagement ensures we can effectively define and deliver solutions to the most complex business challenges affecting your business. At Wipro, we partner with Pharmaceutical and Life Sciences majors to address these challenges effectively to: improve revenues and drive process efficiencies; ensure quality, compliance and foster innovation; achieve lower costs with higher productivity by focusing on process improvement. ZS helps life science companies address a broad set of sales, marketing and analytical issues. ZS provides technical solutions using AWS Big Data tech that address industry challenges with unified and ready-to-use analytics without having organizations develop years of internal capabilities. Are You Interested in Listing Your Life Sciences Solution? Partners interested in listing their stLife Sciences product, solution, or practice must have achieved the Storage Competency through the AWS Competency Program. Note: All solutions on the Life Sciences Partner Solutions webpages are created, sold, and implemented by the third party.